Birth size variables (birth weight, birth length and head circumference) have been reported to be positively associated with adult breast cancer risk, whereas a possible association of placental weight has not been adequately studied. It has also been suggested that maternal height may modify the association of birth size with adult breast cancer risk, but this has not been studied in detail. 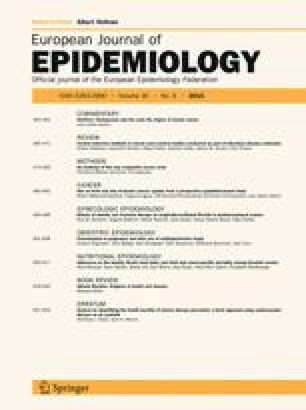 We updated a long-term follow-up of 22,931 Norwegian women (average of 51 years of follow up during which 870 women were diagnosed with breast cancer) and assessed placental weight in relation to breast cancer risk, in addition to providing updated analyses on breast cancer risk in relation to birth weight, birth length and head circumference. Placental weight was not associated with risk for breast cancer in adulthood, but there was a positive association of breast cancer risk with birth length (HR 1.13, 95 % CI 1.05–1.21, per 2 cm increment), though not with birth weight (HR 1.02, 95 % CI 0.95–1.10 per 0.5 kg increment). For birth length, the graded increase in risk was particularly strong among women whose mothers were relatively tall (p for trend, 0.001), compared to the trend among women whose mothers were relatively short (p for trend, 0.221). The results showed a robust and positive association of birth length with breast cancer risk, and may be especially strong in women whose mothers were relatively tall. We found no association of placental weight with risk for breast cancer. The St. Olav Birth Cohort study was established by a Grant from the National Institutes of Health (RO1 CA 78761), and subsequently supported by the Norwegian Cancer Society and the Norwegian Research Council. MSS is a postdoctoral fellow financed by the Norwegian Cancer Society.